Resumé: Peder has a medical education from Copenhagen University from 1981. He did 6 years of hospital service within surgery, anesthesiology and internal medicine. He has more than 25 years of experience from large pharma, medium pharma and small/virtual biotech pharma. He has worked within oncology, diabetes, neurology, dermatology and was in his earlier days as consultant involved in testing cannabinol for neuropathic pain. He has established his own company and sold it to larger pharma. He has held senior positions in Orion Pharma, Novo Nordisk, Astion Pharma and Forward Pharma. He has held numerous meetings with both FDA, EMA, European agencies as well as Australian and New Zealand authorities. With Forward Pharma he was as CEO/COO heading all development and IP activities and was instrumental in the IPO on the NY Nasdaq October 2014 (raised 235M USD). Forward Pharma did also complete a license deal with Biogen Idec with a down payment of 1.25B USD. He holds currently the position as CEO at Biosergen AS, Norway. Resumé: He received his medical degree from St. Mary’s Hospital Medical School (University of London) in 1982 and his research doctorate from St. Thomas’ Hospital Medical School (UMDS, University of London) in 1991. He underwent his specialist clinical training mainly in Oxford and at St Thomas’ Hospital. His research programme covers both laboratory and clinical research. The focus is on neuropathic pain in the context of infectious diseases, diabetic neuropathy and peripheral nerve trauma. The group is predominantly funded by grants from the Wellcome Trust, NC3Rs, European Commission and National Institute for Health Research. In the clinical research domain: Andrew leads a programme of deep profiling studies mainly in patients with HIV neuropathy, carpal tunnel syndrome, leprosy and diabetic neuropathy. 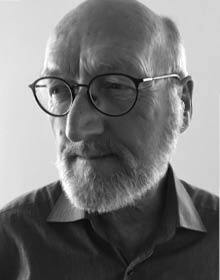 He has for many years been active in clinical trial design, conduct and interpretation and also in synthesising clinical evidence by means of meta-analyses. A recent success was his key role in the successful pre-clinical and early clinical development of the Angiotensin II type 2 receptor antagonist EMA401 as a “first in class” analgesic for neuropathic pain. 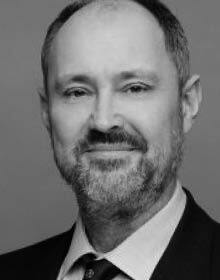 He is a Councillor of the International Association for the Study of Pain (IASP) and he has held a number of positions on the Executive Committee of the International Association for the Study of Pain (IASP). He serves on the British Pain Society Council was a member of the Founding Board of the Faculty of Pain Medicine at the Royal College of Anaesthetists. He is an author of more than 160 scientific publications, many of which are in the major specialist journal in the field (PAIN). Resumé: Roger has undergraduate degrees in Science (Pharmacy) and Biomedical sciences and a PhD from the University of Nottingham. 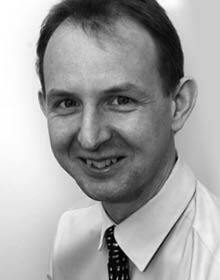 He was an Advanced Pharmacy Practitioner at Nottingham University Hospital prior to his current academic appointment. He is a Fellow of the Faculty of Pain Medicine, Chair of the UK Clinical Pharmacy Association pain management group, a member of the British Pain Society Council and the UK Advisory Council on the Misuse of Drugs. He is the media spokesperson on pain management for the Royal Pharmaceutical Society and British Pain Society in both online and traditional media, including newspapers, magazines, radio and television. Roger is a specialist in the management of chronic pain with particular expertise in the clinical pharmacology of opioids.